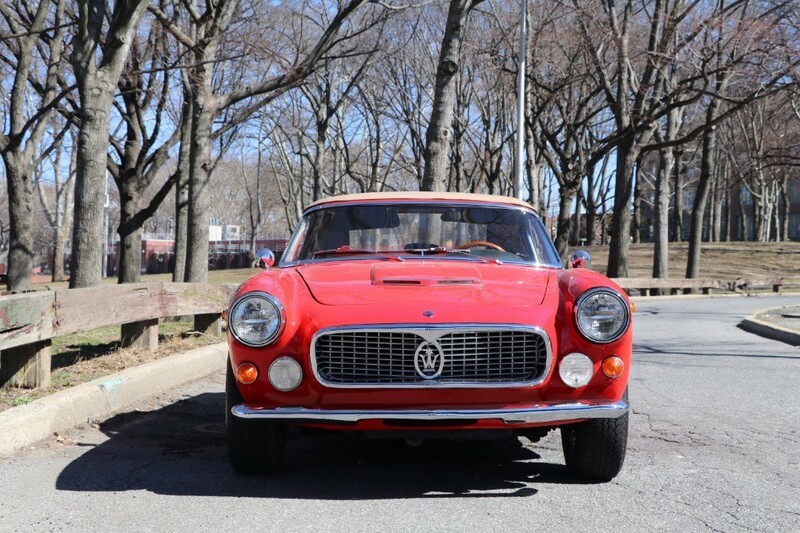 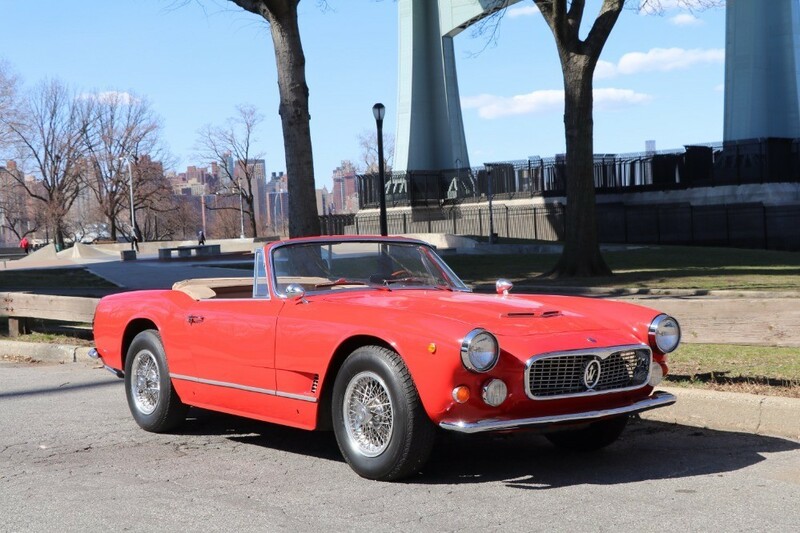 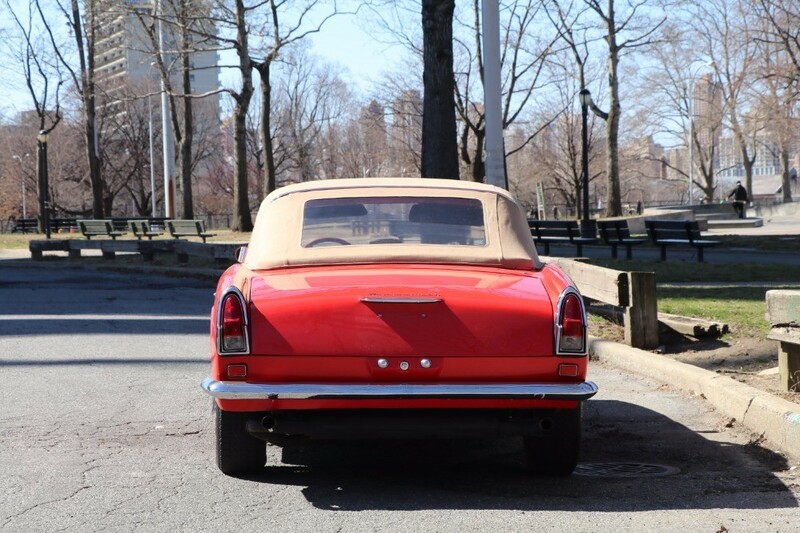 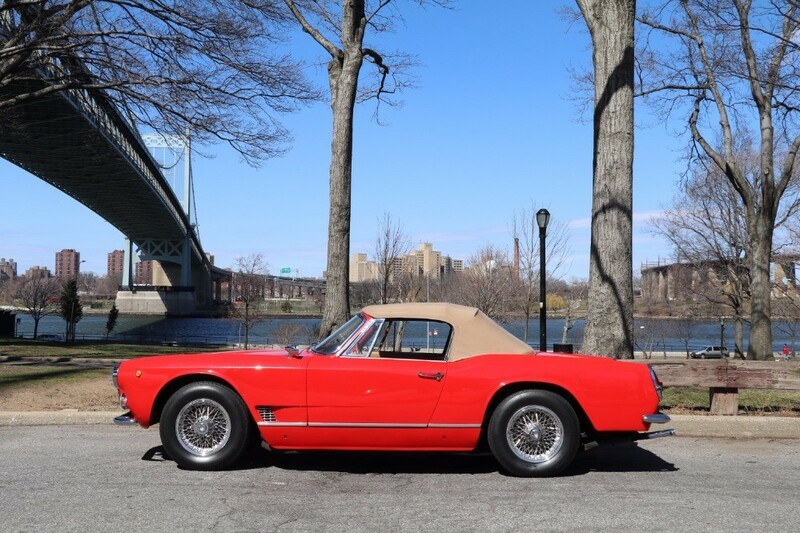 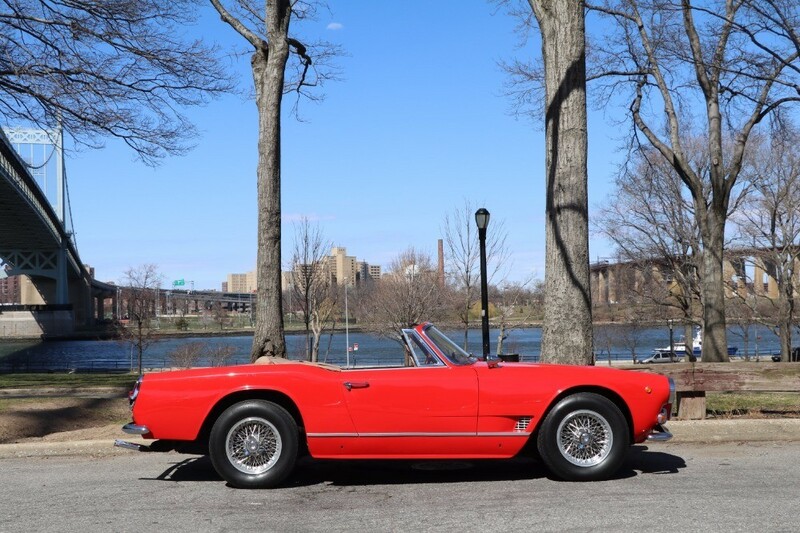 This 1962 Maserati 3500 Vignale Spyder is a matching numbers example and a great driver quality car. 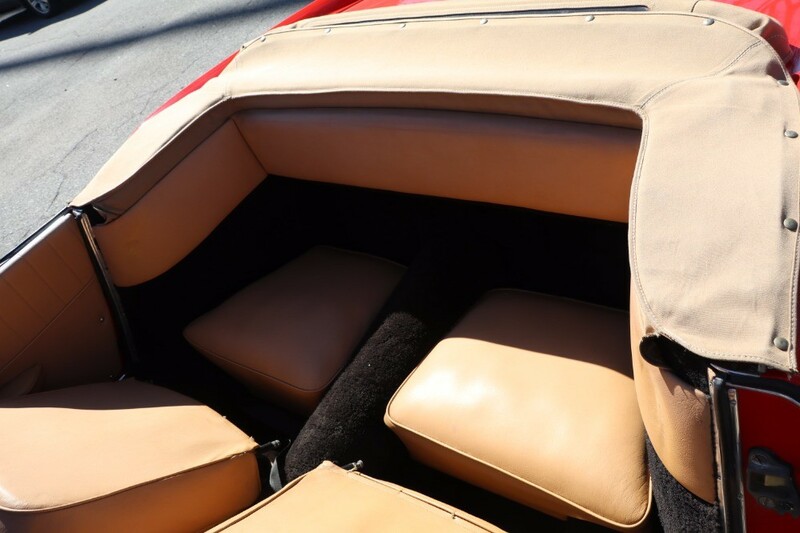 Red with tan leather interior. 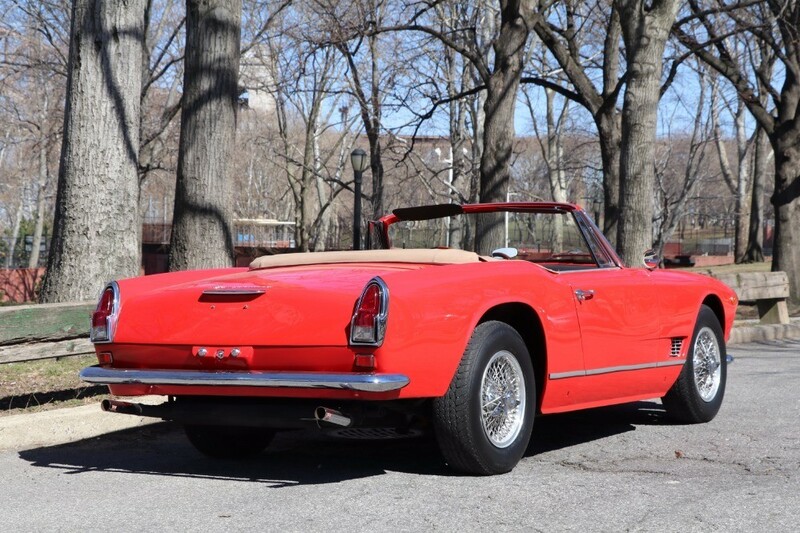 Never restored and one of just 242 Vignale Spyders ever produced. 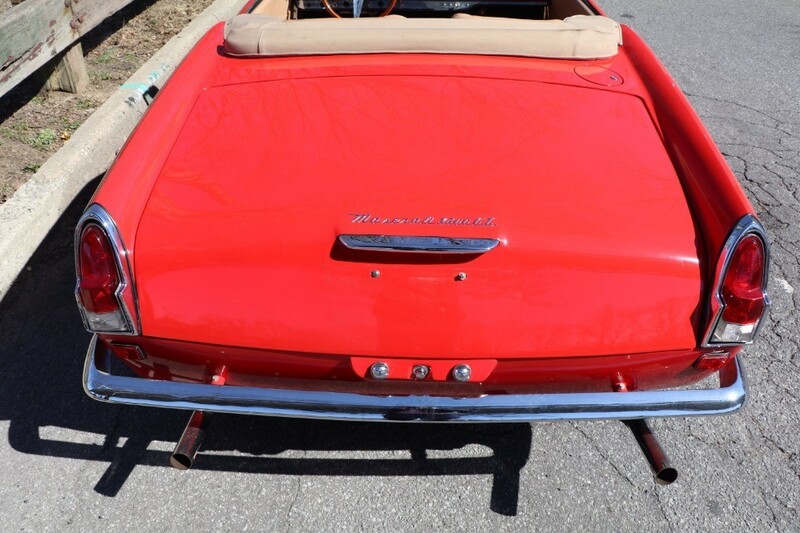 Factory records note that chassis number 1337 was built on October 20, 1961. 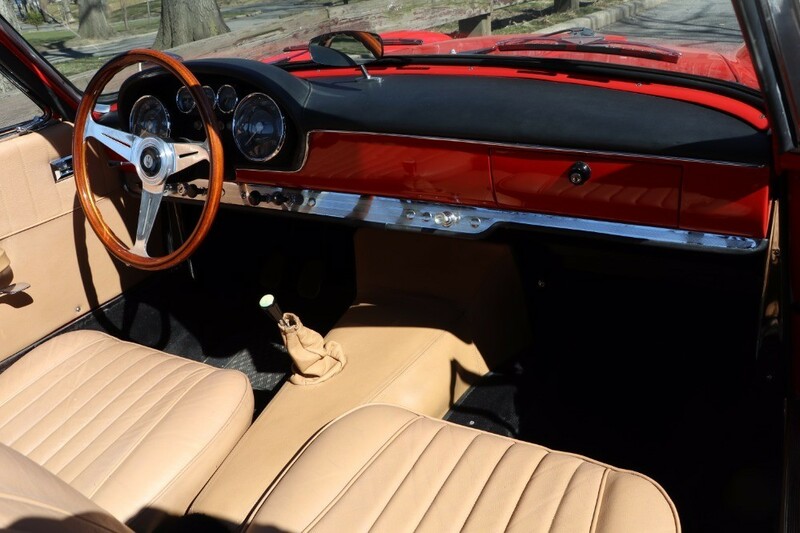 It is equipped with power windows, front disc brakes, and Weber carburetors. 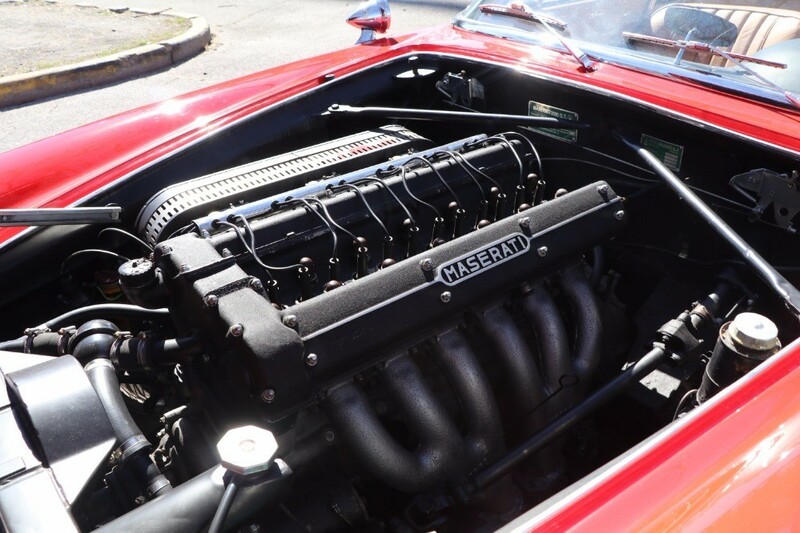 A January 3, 2000, receipt indicates an engine rebuild at 52,626 kilometers by Deutschland Automotive, of Tucker, Georgia, at which time the engine was removed and disassembled and thoroughly gone over. 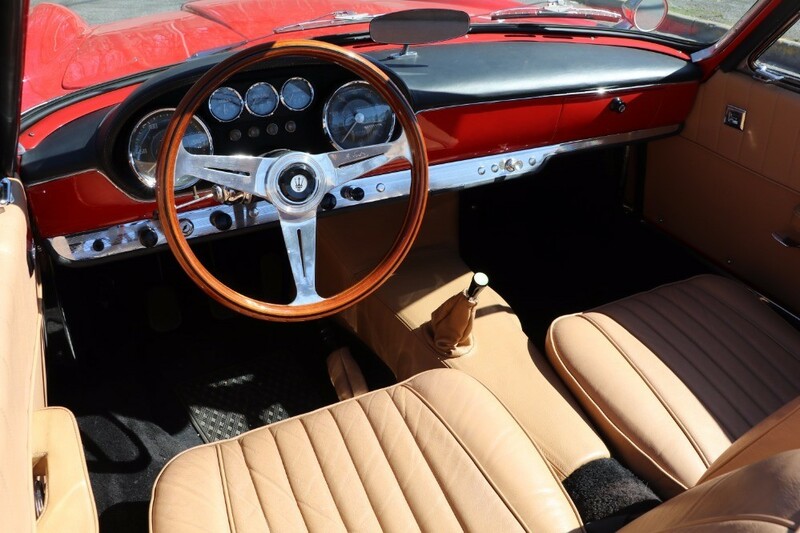 Less than 2,000 kilometers and eight years later, at 54,588 kilometers, a new clutch was installed. 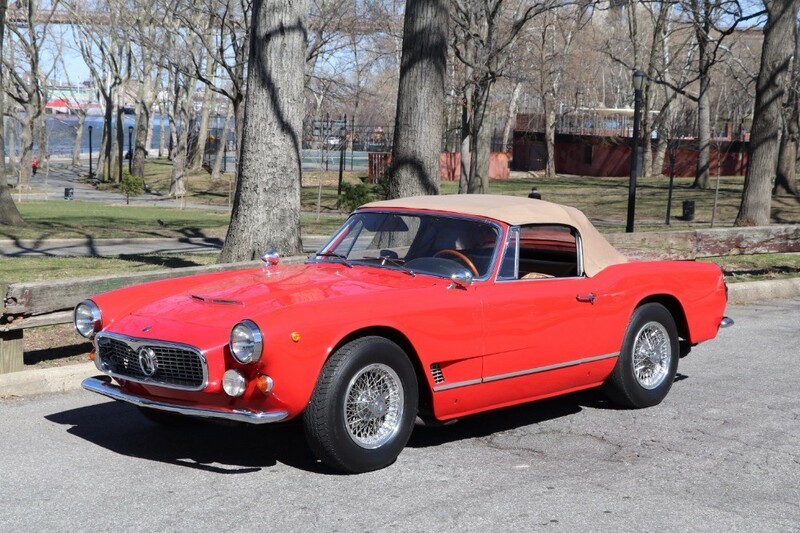 This Maserati is complemented by a set of 16-inch Borrani wire wheels. 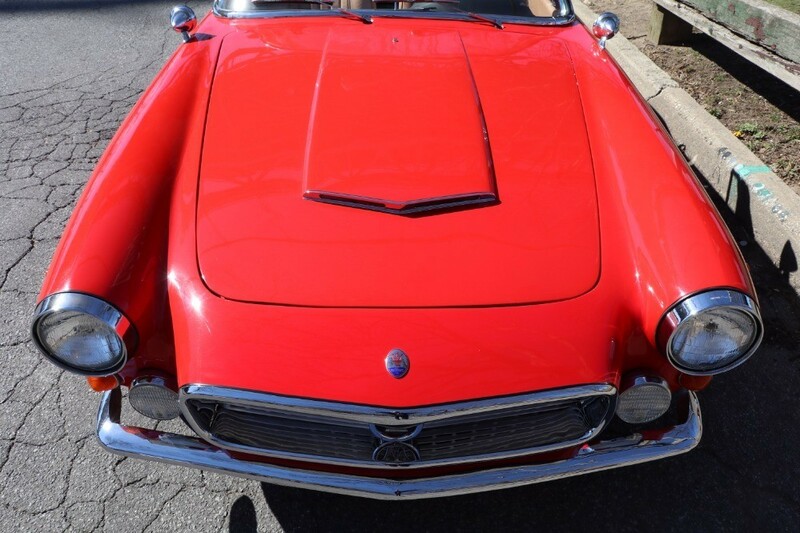 The paint, exterior, and chrome all present nicely. 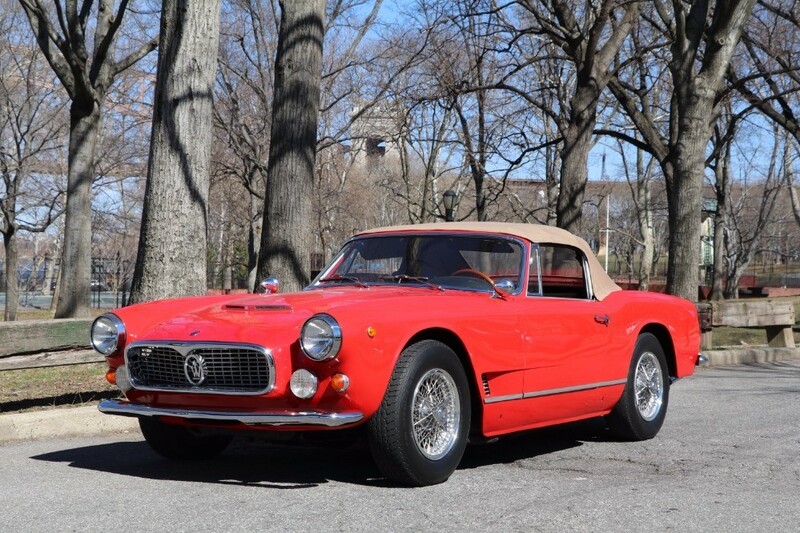 This is a lovely example of one of the most sporting of early 1960s Maseratis and is a blue chip investment offered at a bargain price.